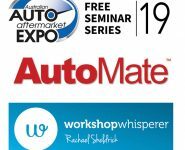 The 2019 Australian Auto Aftermarket Expo features a series of informative and educational free business seminars. 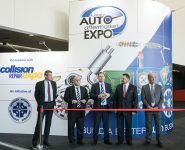 On the opening day of the Expo, Thursday April 4 (3.15pm), Expo visitors will be able to learn from one of the Australian automotive aftermarket industry’s most accomplished business training leaders. Rachael Sheldrick, better known as The Workshop Whisperer, brings more than a decade of sales and marketing experience specifically within the automotive repair and servicing industry to this major event. Rachael brings the practical experience of turning around an auto repair business from zero to sustained success by implementing marketing strategies that everyone can relate to and implement to grow their own businesses. At the 2019 AAA Expo, Rachael will conduct a detailed seminar titled “How to Tune Your Business for Tomorrow’s Customer.” Rachael will explain how your business needs best practice systems and provide the tips needed to optimise your business for success by getting the basics right. 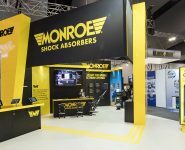 The second day of the 2019 AAA Expo feautures a seminar based totally on Innovation and how one factor facing our industry is absolutely certain – the rate of change or disruption caused by innovaton is constantly increasing. Friday April 5 (11.30am) features a detailed seminar led by RYCO Group Executive General Manager, Amy Frangos, who will share her thoughts on how innovation will help the automotive aftermarket industry into the future. In her current executive management role with the Ryco Group, Amy has established a program that centres on instilling customer focus across the entire organisation. The comprehensive seminar program will also feature two stand-out seminars designed for workshops that are worried about the future of our industry: anti-competitive practices are misleading consumers into thinking that they don’t have a choice and each new model requires another investment in tools and equipment. 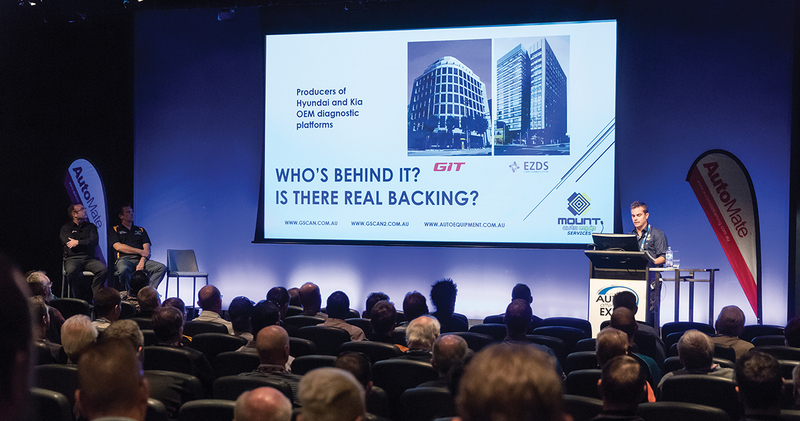 Come to these seminars and you will see our industry does indeed have a future as these seminars help you learn about how the industry is responding to both of these threats and how you can play a vital role. On Friday April 5 (2.00pm) a not to be missed seminar titled “Vehicle Data and Service Information: Access & Equity in the Aftermarket,” will be presented by Lesley Yates and Darren Todd. AAAA Manager of Government Relations and Advocacy, Lesley Yates, has worked tirelessly on all sides of the political spectrum to ensure Australian consumers gain the right to have their Choice of Repairer and brings more than two decades of experience in advocating government policy, public policy and government relations. Darren Todd is a Senior Technical Trainer with Bosch, bringing vast international automotive technology development experience to this detailed two-part seminar. Bosch is a world renowned technological and market leader in electrified, automated and connected mobility and was recently granted the first Automated Driving System (ADS) permit for on-road testing of highly automated driving systems in Australia. The central focus of this seminar will be on data being the lifeblood of the modern automotive aftermarket, discussing some of the more exciting developments in this space. Lesley Yates will also host a discussion about the AAAA’s Choice of Repairer advocacy campaign and the latest developments towards the establishment of a mandatory code for the sharing of dealer-level repair and service information. In this seminar, Lesley will answer important questions about what this OEM information is and how and when it will be shared with independent workshops. Darren will follow with a practical demonstration of data in action, using pass-through technology to explore how technicians can take advantage of OEM service information and systems in their workshops. 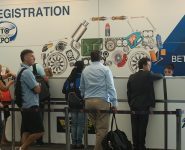 The second day of the 2019 AAA Expo (4.00pm) also features an important seminar titled “Vehicles and Technology: Tomorrow’s World Today”, presented by Bosch Australia’s Automotive Aftermarket General Manager, Nikki Gerling. The focus of the presentation is the fact that technology is changing faster than ever before and the global automotive industry is undergoing its most profound transformation since the invention of the car itself. This important seminar seeks to ensure repairer and service provider understanding of the extent and shape of the changes that lie ahead for automotive repairers. several more business building seminars totally free of charge when you register to attend the 2019 AAA Expo.